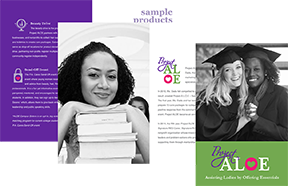 Project ALOE girls are female, high school graduates that are registered to attend a 4-year college or university in the fall semester immediately following the P.A. Cares Send-Off event. The Project ALOE Send-Off event is fun yet informative. Girls are pampered and mentored by beauty, hair, fitness and education professionals. All attendees receive care packages that include hair supplies, cosmetics, dental and feminine hygiene products. Click here to learn more about our current activity. Not a high school senior yet? You can still sign up. Let us know when you will be a senior and we will send you an invitation to a future send-off during your senior year! Just fill out this form. As a Project ALOE recipient, you also have the opportunity to opt-in our ALOE Campus Sisters program. This program connects you with a former Project ALOE recipient that attends the same college/university. Attending a new school can sometimes be a very daunting experience, especially when you are away from home. Registered Project ALOE girls have the opportunity to be connected with an ALOE Campus Sisters (ACS). An ALOE Campus Sister is a former Project ALOE care package recipient that is currently attending the same college/university of a current year recipient. It is an opportunity for former recipients to “pay-it-forward” and incoming freshmen to have a “big sister” on campus. 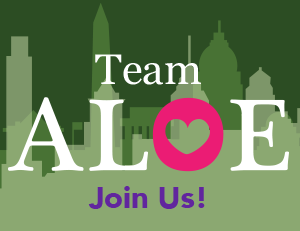 ACS are invited to the Send-Off event and receive perks, such as Project ALOE swag.